The next food revolution is about what you’re not eating. In the U.S., 30 to 40 percent of our food supply goes to waste, equaling more than 20 pounds of food per person per month. When we throw food away because we over-buy or over-prepare, we also drive up global food prices, making it harder for people in developing nations to meet their nutritional needs. A food system that is inefficient in terms of waste really needs to produce more to supply the demand. This increases pressure on natural resources, and wherever natural resources become more scarce, food becomes more expensive. In Georgia, the latest statewide waste characterization study lists food scraps as 12 percent of our total waste. This makes up the largest percentage of disposed waste on the residential level and the second largest on the commercial level. We can be doing more! 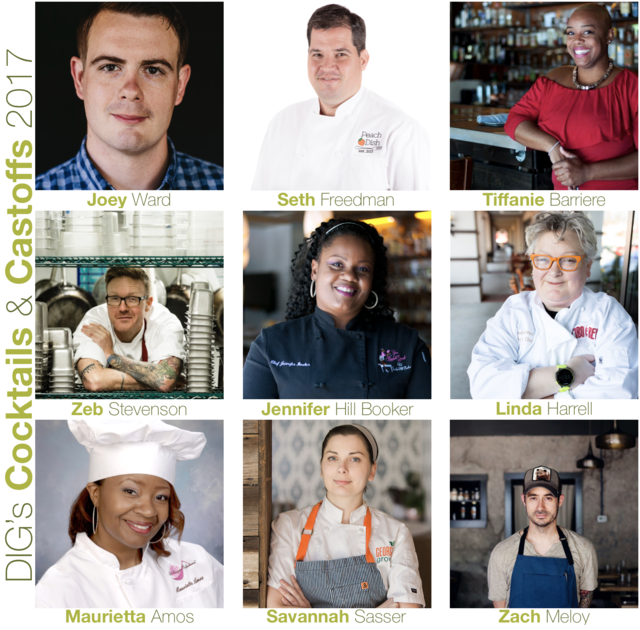 On November 12, 2017, eight acclaimed Atlanta chefs will challenge themselves to create delicious, innovative dishes with little-to-no waste at Cocktails & Castoffs, a fundraising event to support the efforts of Development in Gardening (DIG). DIG is a 501(c)3 nonprofit based in Atlanta that helps nutritionally at-risk populations in Africa develop sustainable gardening practices and cooking techniques to improve their health and their income through sustainable gardening. 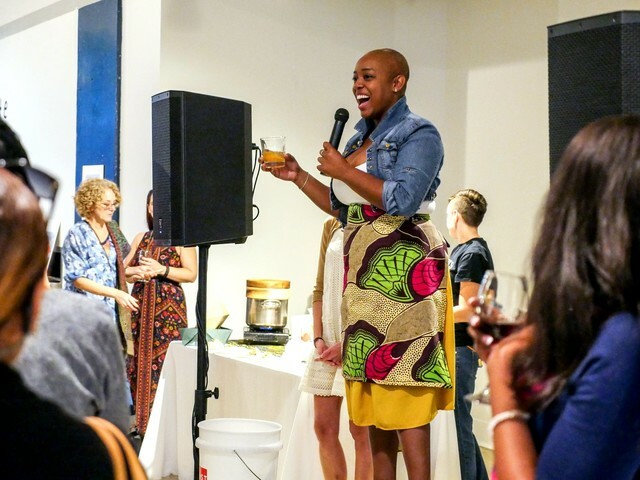 Besides feasting on the chefs’ creations, attendees can participate in a silent auction and peruse a marketplace filled with handcrafted items from Africa. A live auction will present sponsorship opportunities for critical items needed for DIG’s 2018 projects. Renowned Georgia Chef Jennifer Hill Booker, who serves on the James Beard Foundation’s Food Waste Advisory Council, will emcee the event. In fact, Koch says, there are four steps Atlantans can take right now that will make a difference. Join this powerful conversation and learn more about how gardens can be part of the solution – with your help. Tickets/Info: Tickets start at $75 (or two for $120), with a $1,000 Sponsorship Level including a VIP reception, with a meet-and-greet with the chefs and a pre-event cocktail toast. 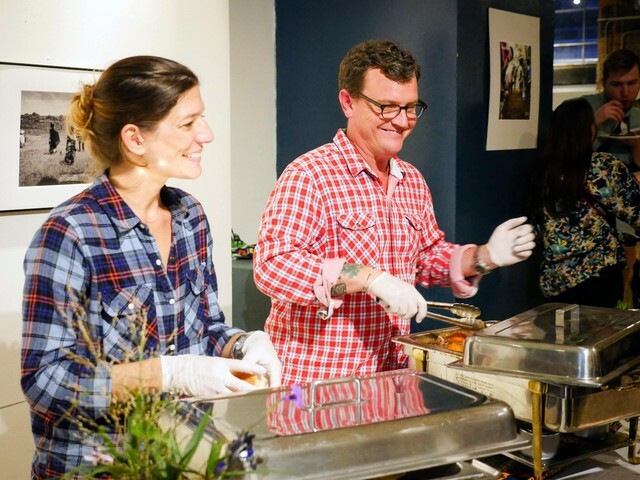 Learn more about reducing food waste with PeachDish!